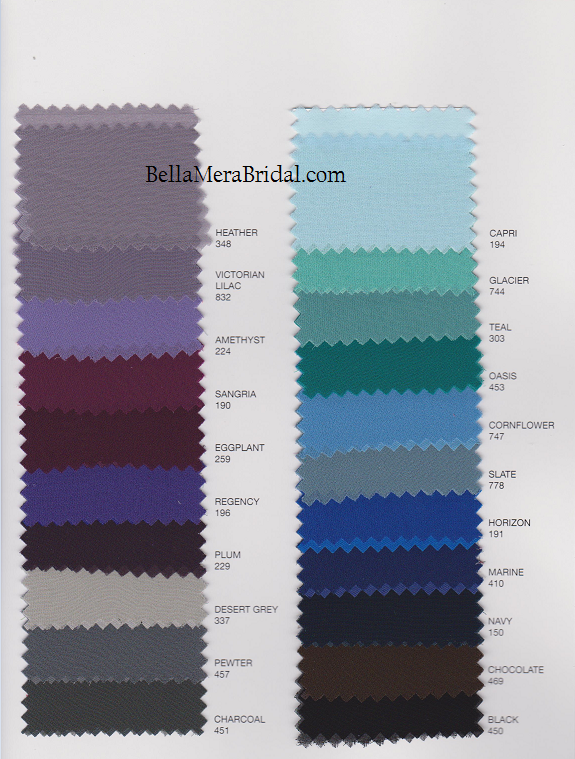 Color Notation - We attempt to represent online colors as accurately as possible, we cannot guarantee that the colors shown on your monitor will match the actual garment. Variations of light and reflections on the original photograph as well as differences in computer monitors and printers may make color tones appear different than the actual fabric. 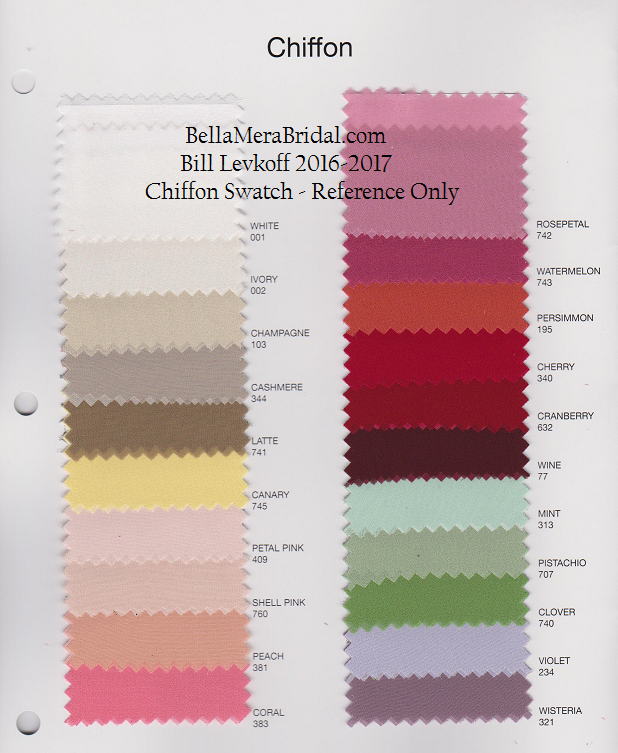 We have swatches available in store for viewing for in store orders or you can order a swatch for a small fee it will take 2-3 weeks. If you placed an order, the swathes are free. This is more of a guide for you.